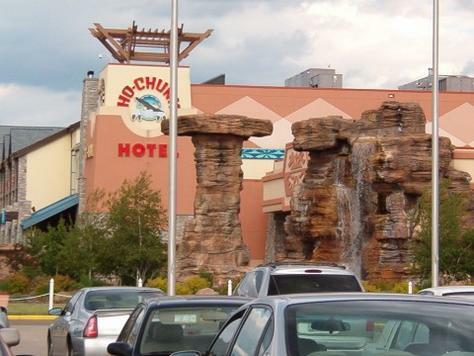 Ho-Chunk Casino is one of Native American Casino that is situated in Wisconsin Dells, Wisconsin. Ho-Chunk tribe has owned this establishment long time ago. 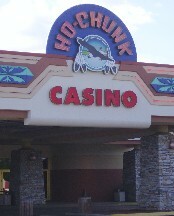 There is a huge variety of video poker and slot machines apart from table games at Ho-Chunk Casino. If you decide to attend the perfectly furnished halls and play your favorite games you also will be able to experience other attractions of Baraboo and Wisconsin Dells. All year round Ho-Chunk establishment is waiting for visitors 24 hours daily. Those players who love bingo can make themselves comfortable in a special huge hall that has 600 seats. There is also a total of more than 2,500 slot machines which have various coin deposit requirements for those players who like low or high stakes and offer great jackpots and winnings. In addition casino stuff is very friendly and pleasant. They will provide you with tasty beverages and snacks during your gaming. Other amenities of the resort will definitely single out Ho-Chunk amongst Wisconsin casinos, with variety of possibilities except exciting casino floor. There are an amazing fitness center with different innovative equipment, swimming Wellness Center, 4 magnificent restaurants and entertaining area for kids, etc. Moreover, in case you have decided to rest with your children and want to play at casino floor Ho-Chunk Casino provides very good reliable childcare services.